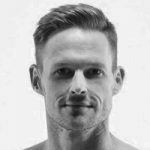 Jono has been a personal trainer and bootcamp instructor for more than 10 years. He loves what he does and loves seeing people achieve results – both body and mind. He’ll push you; but you’ll both have fun doing it. Jono has played many sports including Premier Cricket here in Australia and in England and he still plays State and National League level Volleyball. He’ll try anything once and most things twice. GO get some XO from Jono!